The prime minister of Turkey has said the country will “share the pain” of Armenians whose ancestors were killed 100 years ago in what was then the Ottoman Empire. 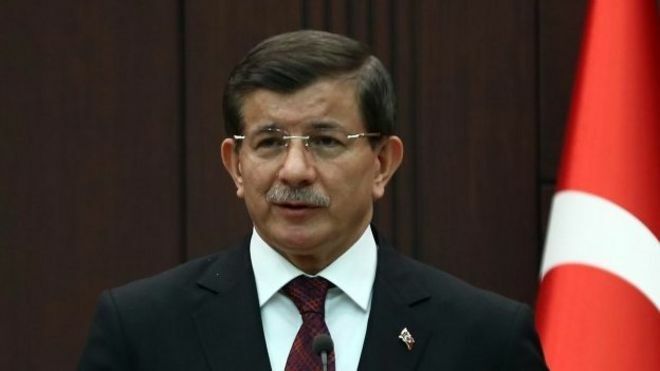 Ahmet Davutoglu also said a memorial would be held for the first time in Istanbul on the 24 April anniversary. However, Turkey still refuses to recognise the killings as genocide. Armenia says up to 1.5 million of its people were killed in 1915 in massacres and deportations. Turkey has steadfastly rejected the use of the term genocide, arguing it was a civil war in which both sides suffered. The issue has caused bitterness between the two countries. Mr Davutoglu made it clear that despite his conciliatory statement, Turkey would not concede that there had been a genocide. “To reduce everything to a single word, to put responsibility through generalisations on the Turkish nation alone… is legally and morally problematic,” he said. Turkish President Recep Tayyip Erdogan last week sharply criticised Pope Francis for describing the mass killing as genocide. Mr Erdogan called the Pope’s comments “inappropriate” and warned him to “not repeat this mistake”. He made a similar statement ahead of last year’s anniversary, describing the killings as “our shared pain”. Most non-Turkish scholars regard the killings – which took place in what is now eastern Turkey – as genocide. They are also formally called a genocide by Argentina, Belgium, Canada, France, Italy, Russia and Uruguay. And in a major reversal on Monday, Germany’s government, which has long-resisted using the term, said it would support a resolution in parliament to declare the killings an example of genocide. Turkey maintains that many of the dead were killed in clashes during World War One and that ethnic Turks also suffered in the conflict.